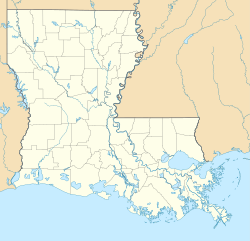 Shreveport (/ˈʃriːvpɔːrt/ SHREEV-port) is a city in Louisiana. It has a population of 199,311 in 2010. 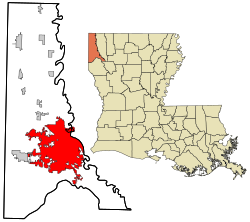 It is the third largest city in Louisiana, after New Orleans and Baton Rouge. It was founded in 1836 where the Red River meets the Texas Trail (now Interstate 20) and US Highway 80. The history of this city it was first adapted by the Caddo. 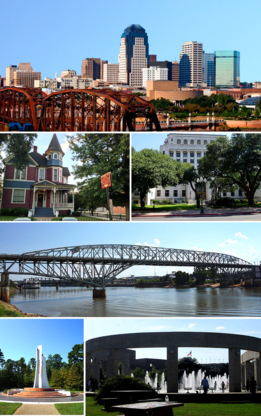 During the American Civil War, Shreveport was the capital of Louisiana from 1863–1865. The capital moved here after, first, Baton Rouge, and then Opelousas each fell under Union control. The city was a Confederate stronghold throughout the war and was the site of the headquarters of the Trans-Mississippi Department of the Confederate Army. Isolated from events in the east, the Civil War continued in the Trans-Mississippi theater for several weeks after Robert E. Lee's surrender in April 1865, and the Trans-Mississippi was the last Confederate command to surrender, on May 26, 1865. Confederate President Jefferson Davis attempted to flee to Shreveport when he left Richmond but was captured en route in Irwinville, Georgia. ↑ "2016 U.S. Gazetteer Files". United States Census Bureau. Retrieved Jul 2, 2017. ↑ "American FactFinder". United States Census Bureau. Retrieved 2014-08-28. ↑ "What is the proper demonym for someone from Shreveport?". Stack Exchange. Retrieved 2018-05-14. ↑ "Shreveport(city) Quick Facts from the U.S. Census Bureau". Retrieved November 26, 2011. This page was last changed on 18 November 2018, at 00:06.